2. March 2018 Edel Assanti is pleased to present works from Shedia Soleimani's new series Medium of Exchange. The full series will be exhibited at the Cincinnati Contemporary Arts Center and Atlanta Contemporary later in 2018. 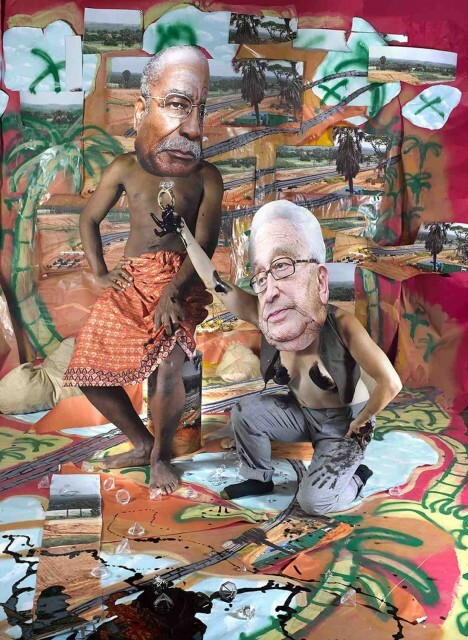 Soleimani constructs staged scenes, using a symbolic lexicon to highlight the correlation between the mismanagement of oil-rich economies and civil rights issues. In these theatrical portraits, predominantly female actors assume caricatured identities of OPEC Oil Ministers and Western government officials, proposing a romantic interplay between the leaders.